Last year on 19 July, Karen Lawler found her son Damien, aged 34, dead at his flat in Newtown Court, Hull. Damien killed himself after struggling to find work and his social security support – Employment and Support Allowance (ESA) was due to be stopped. Known as ‘Damo’ to his family, he was found dead in his flat, east Hull, flat with a suicide note in his hand. In the note, he wrote that he felt like a “hindrance” and “couldn’t carry on anymore” after having no success for the numerous job applications he had made. He also wrote that his ESA was due to be cancelled, and he was so terrified about being put on Jobseeker’s Allowance he was experiencing “stupid” panic attacks. Lawler, who found her son after letting herself into his home on July 19, 2018, said her son had been suffering depression for a number of years, and said more needed to be done to support people with mental health issues. She said: “Damo was just so tired and exhausted with it all. “There was not enough support for him. An inquest on Tuesday heard Ms Lawler took her son to his GP in November 2013 after he deliberately self-harmed, using a Stanley knife to cut off his toe nails. He was prescribed with anti-depressants but his mental health difficulties took a turn for the worse in 2017. During a visit to his GP in January 2018, Damien revealed he had thoughts of self-harm and suicide. He was advised to return to the surgery for further consultation, but he did not follow through with the appointments. Many people who are ill and struggling find it very difficult to keep appointments, especially when they face difficulties accessing acute services for help. Many need immediate help to follow from the first appointment, because by that time, they are in crisis. But all too often, people in terrible distress, with suicide ideation, are being told they must attend yet another appointment. This system sets up a bureaucratic wall, placing an all too often insurmountable barrier between citizens in the greatest need – those least ability to cope with navigating the wall – and the services and support they need to access. We must also question the decision to end Damien’s ESA award, when he was so clearly ill and unfit for work. We must challenge a system that leaves people feeling as if they are some kind of ‘burden’ simply because they are ill.
“There needs to be something there if they do not turn up for any appointments,” said Ms Lawler. “They cannot just discharge someone. They need to try and find out why they have not come to the appointment. Maybe contacting a next of kin or something. I agree. Something has to change. The social security and health care systems no longer function to meet fundamental human needs. Instead they have been redesigned to provide as little support as possible at the lowest costs, while a host of private companies make profits at citizens’ expense. The Coroner, James Hargan, returned a verdict of suicide. Please, please talk to someone. Samaritans (116 123) samaritans.org operates a 24-hour service available every day of the year. If you prefer to write down how you’re feeling, or if you’re worried about being overheard on the phone, you can email Samaritans at jo@samaritans.org , write to Freepost RSRB-KKBY-CYJK, PO Box 9090, STIRLING, FK8 2SA and visit http://www.samaritans.org find your nearest branch. CALM (0800 58 58 58) thecalmzone.net has a helpline is for men who are down or have hit a wall for any reason, who need to talk or find information and support. They’re open 5pm to midnight, 365 days a year. You can also contact me on this site any time, too. I’m a good and experienced listener. I can also signpost people to organisations that can help. The Department for Work and Pensions (DWP) have issued ‘senseless’ 45 page forms to thousands of ill and disabled people who are owed £970m in unpaid Employment and Support Allowance (ESA) by the government, leaving people having to provide evidence of details of their lives from up to seven years ago. More than 250,000 people are being told they must fill out the ‘scandalous’ 45 page form to have their award changed after a government error has left them underpaid by thousands of pounds. Unreasonably, families are expected to recall intricate financial details and arrangements from up to seven years ago. The form asks claimants to state exact dates they were in hospital and give details of insurance payouts, mortgage payments and savings. Campaigners warn it is “passing the buck” to benefit claimants who now face an unnecessary barrier to justice. The 45 page form is being sent to thousands of people who are owed £970m in unpaid ESA dating back to 2011, through no fault of their own. The government blunder, revealed earlier this year, affects people who moved from older incapacity benefit – Incapacity Benefit to ESA between 2011 and 2014,when the government made fundamental cost-cutting changes to the welfare system. In total 570,000 cases are currently being reviewed, of which 180,000 are expected to receive back payments by the end of 2019. A DWP spokesperson insists that everyone owed money will receive it. But some claimants expressed bafflement after the ESA3(IBR) form dropped on their doormats. Carol Willoughby, 73, from Chessington, was asked to fill in details dating back to February 2013 for her 68-year-old husband Michael. A page of the form asks about money set aside for repairs or from a pension. Questions on her form included “please provide dates that you have been an inpatient in hospital” and requests to state amounts of lump-sum state pension, trust fund income and money set aside for essential repairs. Mrs Willoughby said: “The DWP were supposed to check all the errors and deal with it. “Now they’re putting the onus back onto us to provide all the information going back five years, half of which we won’t have any more. Another page asks for details of dates and visits to hospital from years ago. When they were asked about Mr Willoughby’s case, the DWP said that some 261,000 of the excessively bureaucratic forms have been sent out. This huge figure is utterly shocking, and it comes just weeks after the Mirror revealed up to 15,000 people caught up in the scandal have already died. James Taylor, Head of Policy at disability charity Scope, said: “This feels like the DWP is passing the buck onto disabled people and their families. “They have already been short-changed by bureaucratic errors in the welfare system that go back nearly a decade. Ayaz Manji, policy officer at mental health charity Mind, said the DWP must ensure “nobody falls through the gaps”. He added: “Those of us with mental health problems can struggle to navigate a complex application process. “The DWP needs to do all it can to take responsibility for fixing these errors. Yes, anyone would think that the government have placed this bureaucratic barrier in front of ill and disabled people to make it as difficult as possible for them to be fairly reimbursed the money they were entitled to but not paid because of a government error. The form asks for details of property owned in the dates on the form. A DWP spokeswoman insisted people only need to complete sections that are relevant to their circumstances. Officials claim that anyone can seek help completing the form over the phone, and where needed staff can arrange a home visit. The DWP are also contacting people who they do not hear from within three weeks of sending out a form. I wonder why the DWP bothered with the forms, then, if that’s the case. It’s widely assumed that public services are organized and delivered for the benefit of citizens. The reality, however, is very different. The more we scrutinise the role and function of different government departments and programmes, the clearer it becomes that they are being redesigned to bring direct and indirect benefits to private businesses. Ministers have been accused of creating a “hostile environment for sick and disabled people” following the blunder, which occurred when claimants were transferred onto the main sickness benefit, ESA. Both PIP and DLA are designed to help people with the extra costs of disability, or long-term health conditions, yet any award is reluctantly made, and all too often people have to go to court to challenge extremely inaccurate assessment reports and enormously unfair decision-making. Yet the British public are funding corporations as well as government departments, and we should expect and demand that those businesses observe certain conditions of basic fairness. Private companies were hired to fulfil a role of discrediting disabled people’s accounts of their disability, and to engage in very bad report writing, with an ultimate aim of resource gatekeeping. At the same time, legal aid was withdrawn to prevent citizens from accessing justice and seeking redress. The Centre for Health and Disability Assessments Ltd (Maximus, who conduct Universal Credit Work Capability Assessments) saw profits double between 2016 and 2017. One director got a £373k dividend and £12 million was paid in shares. Thousands of disabled and ill people had their lifeline support cut due to the private companies contracted to gatekeep essential financial support. The majority of ill and disabled people have worked and paid tax. They now need to draw on their social insurance, and are finding instead of support, they face punitive policies and a hostile environment, while big businesses are making obscene levels of profit for inflicting hardship and utter misery on some of our most vulnerable citizens. Meanwhile, the government and media constructed a narrative to demonise and condemn the poorest citizens, labelling them as undeserving “scroungers” and would be “fraudsters.” This was a justification narrative – an attempt to try and pass the state abuse of disabled people as somehow “fair”. The government has awarded at least £1.4billion of outsourcing contracts linked to the roll-out of Universal Credit and the other welfare reforms since 2012. £595million to Maximus People Services Ltd for health and disability assessment services. It’s about time we had a public debate about the size and uses of the corporate welfare state. And about democratic accountability. Curiously, none of those private companies that were contracted to profit through disabled people’s loss and distress have received forms that demand evidence and details of their histories. Corporate welfare is prioritised rather more by the government than citizen welfare. In fact private companies are faced with perverse incentives – to generate profit requires undermining the welfare of citizens. I don’t make any money from my work. If you want to, you can help by making a donation to help me continue to research and write informative, insightful and independent articles, and to provide support to others. The group meeting at Portcullis House, Westminster. On Wednesday, many of the disabled campaigners, researchers and organisations that have played a key role in exposing the discrimination and harm caused by the government’s social security reforms travelled to Westminster to attend a meeting with five Labour shadow ministers. The meeting was chaired by Shadow Chancellor John McDonnell. The original idea for a meeting of politicians, activists and researchers had come from Black Triangle’s John McArdle, who had put the idea to John McDonnell. The meeting was conducted under the Chatham House rule, so although the contributions made during the meeting may be reported, the names of those who spoke and their organisations cannot, unless they spoke afterwards, specifically adding comment on record. I was permitted to report the names of the five shadow ministers who attended. Other ministers participating were Margaret Greenwood (Shadow Secretary of State for Work and Pensions), Marsha de Cordova (Shadow Minister for Disabled People); Mike Amesbury, (Shadow Employment Minister) and Lyn Brown, (Shadow Treasury Minister, with responsibility for social mobility). This initial meeting is to be the launch of a series of campaigning efforts and consultation between the Labour party, disabled activists, researchers and allied organisations. Labour is also hoping to secure support from members of other political parties in the longer term. A second meeting is set to take place later this autumn. The discussion was particularly focused on the harm, psychological distress and deaths caused by the controversial work capability assessment (WCA), but concerns were also expressed around the table about the damage caused to disabled people by the government’s roll out of universal credit. Some of us had also submitted work in advance of the meeting and contributed to shaping the agenda. Other crucial concerns were raised about the ongoing problems with personal independence payment (PIP), the harm caused by the welfare conditionality regime and sanctions, and the cuts to social care support. There was also discussion about the cumulative impact of the government’s reforms on disabled women. There was discussion about the importance of putting the government’s reforms into an ideological and historical perspective, which highlighted how successive governments have been strongly influenced by the US insurance industry, which had led to disabled people seeking support “to be treated as bogus claimants”. Added to this are criticisms of how the biopsychosocial model of disability, notions of ‘the sick role’ and ‘behavioural medicine’ have provided an underpinning ideology and veneer of political credibility to justify the steady and incremental dismantling of lifeline welfare support for disabled people. Linked with this was concern raised at the continuing roll-out of the Improving Access to Psychological Therapies (IAPT) programme, which has led to mental health professionals to “come out with the sort of language we are hearing from the Department for Work and Pensions”. She also added that the approach by IAPT practitioners, who largely draw on the Cognitive Behaviour Therapy (CBT) model, is tantamount to political gaslighting, since it blames the victims of circumstances that caused at a structural level, and are therefore beyond an individual’s control. The government’s ideological claim that ‘work is a health outcome’ has also been embedded in IAPT practices and aims, despite there being very little evidence that employment is generally beneficial to people with mental health problems. Evidence has emerged that some kinds of employment are in fact further damaging to mental health. There was also a call for nurses and GPs to be held to account for the way they had compromised their own medical ethics in dealing with requests for evidence to support disability benefit claims and in acting in the role of assessor for private contractors. There was a little dispute regarding precisely where the focus should lie concerning the work capability assessment, with some people feeling quite strongly that our aim should be simply to see it abolished. The Labour party are committed to scrapping the highly controversial assessment process, but it was recognised that it’s highly unlikely the current government will do the same. One activist told the meeting that there was a need both for “harm reduction”, to address the immediate problems with the assessment process, and “system change” to secure the eventual abolition of the WCA altogether. Several contributors said that the government had made a deliberate attempt to create a “hostile environment for disabled people”. The meeting was broadly welcomed by disabled activists. Shadow chancellor, John McDonnell, added afterwards that he believed the meeting could herald the start of “a significant movement to expose the brutality of the system” and secure “permanent change”. There were representatives present from many of the disabled-led grassroots organisations who have campaigned for many years against the Conservative’s punitive reforms and the disproportionate targeting of the disabled community with austerity measures. There were also researchers, union representatives and journalists gathered together to add to the discussion and to contribute in planning a response to the government’s persistent denials that there is a correlation between their policies and serious harm. McDonnell told journalists after the meeting: “I think this is a breakthrough meeting in terms of getting many of the relevant organisations and individuals together who have their concerns about what is happening to disabled people and their treatment in the welfare system. Marsha de Cordova, the shadow minister for disabled people, said that it was the first time that the various groups had been brought around the same table to talk about different issues – including crucial concerns about the imminent “migration” from benefits such as employment and support allowance onto universal credit – that all fed into the idea that the government had created a “hostile environment towards disabled people”. The meeting has consolidated new momentum and hopefully, a unity to our diverse and ongoing campaigns against the mounting injustices surrounding the welfare reforms, austerity, the fatally flawed Work Capability Assessment, welfare conditionality and sanctions, the targeted cuts embedded in Personal Independent Payment and universal credit. We will be challenging the government’s persistent denial of a ‘causal link’ between their draconian welfare policies and the distress, systematic human rights violations, serious harm and deaths of disabled people that have arisen in correlation with those policies. Unless the government permit an independent inquiry into the terrible injustices that have followed in the wake of the welfare reform acts, they cannot provide evidence to support their own claims. I don’t make any money from my work. I am disabled because of an illness called lupus. If you want to, you can help by making a donation to help me continue to research and write informative, insightful and independent articles, and to provide support to others. I’m currently working on a very old, borrowed, temperamental and slow laptop as mine has broken. I am trying to raise money to buy a reconditioned one so I can keep working. The smallest amount is much appreciated – thank you. On Wednesday I am travelling down to Westminster. I have been invited to attend a meeting chaired by Labour’s shadow chancellor, John McDonnell. Welfare experts, researchers and campaigners are to contribute to a new drive to expose the mental health impacts and other harms linked with the government’s controversial reforms, such as the Work Capability (WCA) and Personal Independence Payment (PIP) assessments. We will also explore and identify the wider impacts of the government’s Employment and Support Allowance (ESA) policies on the economy and society. The Labour party is committed to scrapping the fundamnetally flawed assessments, and have placed equalities at the centre of Labour party economic research through cross-departmental and multi-disciplinary collaboration. A Labour government will also undertake a specific stock-take of welfare policy and benefit sanctions to address the rising number of suicides, which have soared in recent years. 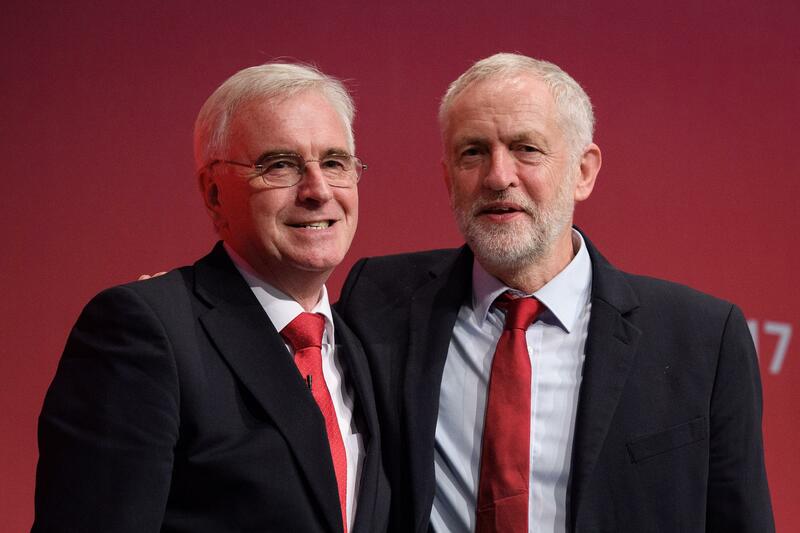 The Labour party have said that they will place equalities at the centre of Labour’s economic research through cross-departmental and multi-disciplinary collaboration. Speaking to the Huffington Post, the shadow chancellor says that he became furious during a Parliamentary debate when he demanded a comprehensive assessment of the cumulative impact of welfare reforms on disabled people and the government refused. He praised the website Calum’s List, which details the cases of at least 60 deaths linked to welfare cuts. He added: “We said to the Government we know now from Calum’s List, listing people from reports in the press and elsewhere of people committing suicide as a result of Government cuts. McDonnell added that Labour’s first Queen’s Speech include legislation “making sure we have a welfare and benefit system that lifts people out of poverty”. He said that his Hayes and Harlington constituency casework now operates an open-door system four days a week due to demand from people hit by government cuts. He added: “Helen who runs my office said the casework now is on a scale and a depth of suffering that we’ve never seen before. And this in a constituency with the [Heathrow] airport, high levels of employment but wages not matching the housing costs and the pressure on people working all hours just to keep a roof over their heads. “If anything goes wrong they fall out of the system. Last month we were dealing with two families living in cars. We also have the ‘beds in sheds’ phenomenon, families living in a shed or garage rented out to them, it’s staggering really. The Labour party’s track record of inclusion and democratic consultation with disabled citizens and their communities contrasts starkly with the Conservative’s exclusionary ‘we know better than you’ approach to disability policies. The government have imposed cuts on disabled people, acting upon them as if they are objects of policy rather than being citizens within a democracy. However, in the UK, the way that welfare policies are justified is being increasingly detached from their aims and consequences, partly because democratic processes and basic human rights are being disassembled or side-stepped, and partly because the government employs the widespread use of linguistic strategies and techniques of persuasion to intentionally divert us from their aims and the consequences of their ideologically (rather than rationally) driven policies. Furthermore, policies have more generally become increasingly detached from public interests and needs. McDonnell was involved in the setting up of Disabled People Against the Cuts (DPAC). Furthermore, after a nationwide round of consultations with disabled people about policies which enshrine the Equality and Human Rights acts, led by Debbie Abrahams, the Labour party wrote a manifesto, outlining policies for disabled people, called Nothing about you without you . Alex Cunningham, me, Debbie Abrahams and Gail Ward after the Disability Equality Roadshow in December, 2016. The government have persistently refused to acknowledge that there is a ‘causal link’ between their punitive welfare policy programme – which has seen vulnerable citizens, including many disabled people, lose their lifeline support – and has been correlated with the rise in distress, suicides, harm and premature mortality among ill and disabled people in particular. The correlation has consistently been recognised by disabled citizens, and evidenced by researchers, charities and disabled peoples’ organisations over the last few years. Although correlation is not the same thing as ‘causation’, it quite often implies a causal relationship. The problem is that the government have simply refused to investigate the established association further, choosing to simply deny the established link exists instead. That is completely unacceptable. Without further investigation of the many concerns raised, the government have no evidence whatsoever to verify their own claims of there being ‘no causal link’ precisely because they consistently refuse to conduct an inquiry regarding the established correlation between policies and harm, or to undertake a cumulative impact assessment of those policies. The UN Convention on the Rights of Disabled Persons (CRPD) says (in article four) that governments must, in implementing the convention, “closely consult with and actively involve persons with disabilities… through their representative organizations”. It also says (article 33) that “civil society, in particular persons with disabilities and their representative organizations, shall be involved and participate fully” in monitoring the implementation of the convention in each country. In July, Sarah Newton, the minister for disabled people, refused to meet a coalition of disabled people’s organisations, in an apparent breach of the UN disability convention. At the very least, Newton shows no inclination whatsoever to listen to the accounts of the lived experiences of disabled people, nor does she value a democratic dialogue with us. That is profoundly worrying. In July, the Shadow Disabilities Minister, Marsha De Cordova, also once again raised in parliament the fact that the United Nations (UN) had found “grave and systematic violations of disabled people’s rights” in the UK. Newton responded by claiming “it’s ‘not true’ that disabled people face a hostile environment.” She also asked the opposition not to say “things” that they “know are not true”. The United Nations (UN) and the Equalities and Human Rights Commission have already verified the truth of the statements, presented many times by Labour shadow ministers, disability charities and disabled people to an indifferent government. However, the Conservatives have a track record of denying empirical findings that don’t match their predetermined and ideological expectations. They simply deny and dismiss any criticism of their discriminatory policies. Damian Green, the Work and Pensions Secretary at the time of the UN inquiry report, famously claimed that cuts to support for disabled people did “not necessarily mean worse outcomes.” That is a bit of a climb down to previous claims from the government that cuts to lifeline support for disabled people ‘help’ them into work by removing the ‘perverse incentives’ of provision. In July, in a rather frightening and repressive, authoritarian outburst, Newton went on to claim that the opposition’s comments were “dangerous” and “deter” people who need support from claiming it. However, it is government policies that are dangerous, and that have created a series of ordeals and barriers in the assessment process, designed to weight the assessments towards permitting the Department for Work and Pensions (DWP) to refuse people support. Much of Newton’s response to legitimate criticism entails rationalisation techniques that are designed to undermine the credibility of the accounts of others and especially that of the narrator by editing the narrative, and presenting an alternative order of events. More broadly, the right wing media took up this role on behalf of the government, in scapegoating and stigmatising disabled people and others who need social security support, in advance of the welfare reform act. By portraying disabled people as ‘fakes’, ‘scroungers’ and as an ‘economic burden’, this rhetoric was designed to create folk devils, and to justify punitive cuts to ‘undeserving’ disabled people. Many of us have been through the ordeals that claiming ESA entails and then faced further ordeals confronting mandatory reconsideration and appeal.Many of us have been deterred from claiming PIP. That was my own experience too. Despite needing PIP from 2011, I couldn’t face claiming PIP until I really had to. I put it off for seven years because my experience of the ESA assessments was so horrible and distressing, it made me seriously ill, because the stress exacerbated my symptoms. (I have lupus). My local authority supported me with the claim when they provided aids and adaptations to help my mobility in my home. Conservative ministers conveniently overlook the fact that many disabled people have worked and contributed to the UK’s social security provision via tax and through the national insurance system. I worked for many years until I became too ill to do so in 2010. Newton even had the cheek to cite Labour’s Equality Act as a ‘protection’ for disabled people, as if it was the Conservatives who designed this policy. This is same Act that the government has violated over and over because of their welfare ‘reforms’ and austerity programme. This protection was brought about by the last Labour government, which also included the Human Rights Act, and signing the UK up to the Convention on the Rights of Persons with Disabilities (UNCRPD) – an international human rights treaty intended to protect the rights and dignity of persons with disabilities. The UK’s established human rights and equality frameworks have been methodically ignored by this government, who decided to target disabled people with a significantly disproportionate burden of their ideological austerity programme. The UN found that the Conservatives’ treatment of disabled people gravely and systematically violates our human rights. The evidence gathered by the UN came from disabled people’s accounts (including mine) and those of disability organisations, academic researchers and charities. This is a government that has systematically marginalised disabled people economically socially and politically, sidestepping human rights and equality legal frameworks. Apparently the government doesn’t regard democratic accountability to disabled people as particularly important. Instead, ministers simply lie and deny other people’s experiences and accounts. Newton also shamefully suggested people losing their motability cars, scooters and wheelchairs should complain to the Motability charity – not the government. It’s not the charity that are creating a hostile environment for disabled people, carrying out assessments that are absolutely unfit for purpose. It is not the charity’s fault that assessments are inaccurate and designed to ensure as few people as possible are given a full PIP award. This is a repressive, opaque, unaccountable and profoundly undemocratic government that simply refuse to accept any responsibility for the consequences of their own actions. If the government genuinely believed that there is no causal link whatsoever between their cuts, extremely punitive policies and the distress, harm, increased suicide rate and deaths of disabled people, surely the way to provide evidence of their claim is to permit an independent investigation, and to undertake a thorough cumulative assessment of their policies. Instead, it seems blunt denials and techniques of neutralisation are the government’s prefered response to legitimate criticism and serious concerns regarding the welfare and wellbeing of disabled people in the UK. These are strategies often used to switch off the conscience when someone plans or has done something to cause harm to others. They most often entail rationalisations of denial. The idea of techniques of neutralisation was first proposed by criminologists David Matza and Gresham Sykes during their work on Edwin Sutherland’s Differential Association in the 1950s. Matza and Sykes were working on juvenile delinquency, they theorised that the same techniques could be found throughout society and published their ideas in Delinquency and Drift, 1964. 1. Denial of responsibility. The offender(s) will propose that they were victims of circumstance or were forced into situations beyond their control. 2. Denial of harm and injury. The offender insists that their actions did not cause any harm or damage. 3. Denial of the victim. The offender believes that the victim deserved whatever action the offender committed. Or they may claim that there isn’t a victim. 4. Condemnation of the condemners. The offenders maintain that those who condemn their offence are doing so purely out of spite, ‘scaremongering’ or they are shifting the blame from themselves unfairly. 5. Appeal to higher loyalties. The offender suggests that his or her offence was for the ‘greater good’, with long-term consequences that would justify their actions, such as protection of a social group/nation, or benefits to the economy/ social group/nation. 6. Disengagement and Denial of Humanity is a category that Alverez added to the techniques formulated by Sykes and Matza because of its special relevance to the Holocaust. Nazi propaganda portrayed Jews and other non-Aryans as subhuman. A process of social division, scapegoating and dehumanisation was explicitly orchestrated by the government. This also very clearly parallels Gordon Allport’s work on explaining how prejudice arises, how it escalates, often advancing by almost inscrutable degrees, pushing at normative and moral boundaries until the unthinkable becomes tenable. This stage on the scale of social prejudice may ultimately result in genocide. Any one of these six techniques may serve to encourage violence by neutralising the norms against prejudice and aggression to the extent that when they are all implemented together, as they apparently were under the Nazi regime, a society can seemingly forget its normative rules, moral values and laws in order to engage in wholesale prejudice, discrimination, exclusion of citizens, hatred and ultimately, in genocide. I’m not comparing what is happening to disabled people in the UK with the Holocaust, though it is worth noting that disabled people were among the first group that were murdered by the Nazis. What I am saying is the techniques used to exclude, and to normalise the political oppression of a group, are the same. They are also used as a form of ‘norm default setting’ to desenisitise the public to the circumstances and experiences of groups being politically targeted with discriminatory and oppressive treatment. In accusing citizens and the opposition of ‘scaremongering’, the Conservatives are denying responsibility for the consequences of their policies, denying harm, denying distress; denying the victims and condemning the condemners. A spokesperson for the Department for Work and Pensions said: “Suicide is a complex issue and our sympathies are always with those left behind, but it’s misleading to link it to welfare reforms. “We continually review and make improvements where needed, for example strengthening the Work Capability Assessment service by stopping reassessments for those with the most severe and lifelong conditions, and introducing video recording in PiP assessments. Earlier this week the government stressed that it was committed to ensuring that disabled people get the support they need. For many of us, the government’s approach to social security has become random, controlling and an unremitting Orwellian trial. I don’t make any money from my work. But you can make a donation if you wish and help me continue to research and write informative, insightful and independent articles, and to provide support to others. The smallest amount is much appreciated – thank you. A recent research report launched last month by anti-poverty charity Zacchaeus 2000 Trust (Z2K) reveals the devastating impacts that the government’s welfare reforms are having on the lives of people who are disabled or severely unwell. Those benefits that were supposed to provide support for disabled people – Employment and Support Allowance (ESA) and Personal Independence Payment (PIP) – are leaving hundreds of thousands of disabled and unwell people wrongly assessed and denied the vital Social Security benefit they are entitled to. Without this essential income, many people are pushed into debt, face rent arrears and eviction and have to rely on food banks to survive. Poor design and implementation of the assessments means PIP and ESA are failing, forcing ill and disabled people to go through arduous and distressing reviews and appeals processes just to access the payments they are entitled to. The numbers of people who are wrongly assessed and let down by the system are likely to be much higher than official appeal figures suggest. The report, Access Denied: Barriers to Justice in the Disability Benefits System, shows some of the hardship, harm and distress this causes – and the long and difficult process people have to go through to finally get the support they deserve. After being wrongly turned down at assessment, claimants must first go through Mandatory Reconsideration (MR), which can take anything from a few days to several months. The Department for Work and Pensions (DWP) argues that claims are fully reviewed at this stage, but the fact that 69 per cent of claimants win their appeal after having gone through MR proves that the MR itself is failing to correct the assessment’s flaws. While those who reach the appeal do eventually receive a fair hearing, the arduous process means many never make it to this stage. Drastic cuts to legal aid mean countless ill and disabled people cannot get the legal support and representation required – and which significantly improves chances of success: 88 per cent of the clients Z2K itself supports win their appeal. The Government’s cuts to legal aid and reduced local funding for advice charities means many disabled people are losing out purely because they cannot afford private legal advice. Raji Hunjan, CEO of Z2K, said “The whole appeal process – and the months of financial and emotional hardship people have to go through to get there – could be avoided if DWP got assessments right in the first place. “Instead of creating such a hostile environment for those who are disabled, and assuming everyone is trying to cheat the system, ministers urgently need to recognise the reality of people’s disabilities and illnesses and give them the support they deserve. The report recommends clear changes to the assessment, MR and appeal stages, in order to ensure that disabled and unwell people no longer have to suffer to get the payments they are entitled to. The Government should reinstate legal aid for disability benefits appeals. Access Denied: Barriers to Justice in the Disability Benefits System illustrates the many barriers to justice that disabled people face, and highlights the potential solutions. It is based on in-depth research with Z2K’s clients, whose claims for ESA and PIP have been rejected – despite them having severe illnesses and disabilities. Their stories reveal not only the serious flaws in the assessments, but also the personal impacts and enormous obstacles people face in challenging the assessment decision. The research findings come in the wake of the recent report from the National Audit Office (NAO), which says the Department for Work and Pensions (DWP) has underpaid benefits to the tune of £1.7bn over the last year, while official errors have also seen a significant rise in over-payments. Underpayments now account for £1.7 billion of government welfare expenditure, while over-payments have soared to a record £3.7 billion. The report exposes the shocking extent of departmental errors and layers of Kafkaesque bureaucracy, with the chairman of the Commons Work and Pensions Committee describing the current welfare system as “a pinball machine”. Frank Field, told the Press Association: “It’s like a pinball machine, the payments system – you might get an overpayment, you might get an underpayment. But the data shows that while Universal Credit has the highest level of over-payments, at 7.2%, has the greatest amount of underpayments at 3.7%. That figure does not include those denied PIP and who are forced to ask for Mandatory Review and then appeal. The UK government’s treatment of disabled people has been extremely controversial for many years, with the United Nations accusing ministers of “grave and systematic” violations of disabled people’s human rights following their extensive inquiry. But despite the many concerns, challenges, presented empirical evidence and official rebukes of the government’s prejudiced and discriminatory welfare policies, the cruel treatment of sick and disabled people in the UK continues, with ministers dogmatically denying their punitive policies cause any harm and distress, indicating that the government has no intention of making positive changes any time soon. I don’t make any money from my work. I’m disabled through illness and on a very low income. But you can make a donation to help me continue to research and write free, informative, insightful and independent articles, and to provide support to others. I co-run a group that supports disabled and ill people going through ESA and PIP claims, assessments and appeals. Any donation is very much appreciated – thank you. A man who has an inoperable brain tumour has condemned the government after his benefit support was stopped, leaving both his partner and himself with just £5 a week to feed themselves. Karl Riley says that he’s been living below the bread line since his Employment and Support Allowance (ESA) and housing benefit were taken away three months ago when he moved in with his partner, whose income is just a few hundred pounds a month. Karl, who is 32, says that he has a tumour that is embedded in his brain stem. This has caused him to suffer severe neurological symptoms, such as permanent limited mobility, double vision, memory loss, confusion, extreme anxiety, depression, nausea, insomnia, tinnitus and facial paralysis. Despite his health problems, Karl manages a few hours of self-employed work each week. He manages a band part-time, but isn’t capable of working full-time. He says he risks losing his house now that his benefits have been stopped. Karl has also been waiting seven months for NHS physiotherapy treatment. Karl found out by accident about his non-cancerous tumour when he had a brain scan as part of a medical trial in 2012. At the time he had no symptoms and he was told that doctors would take a ‘wait and see’ approach. Karl had emergency brain surgery last March to drain a build up of fluid, followed by a second operation in July, when doctors told him the tumour was too embedded in his brain, making it inoperable. Karl said: “I was bad after the second operation. It caused me a lot more problems and I had to relearn how to walk.” He then had to undergo six weeks of radiotherapy in a bid to reduce the mass, and says he was vomiting every day and continues to feel the side-effects. Karl, who then lived with his partner Samantha Neale, 27, had some savings to fall back on at the time, but when they ran out of money, each of them were forced to move back with their parents. Karl had been struggling with his mobility. So in December, he made a claim for ESA. He was awarded £73.10 a week, which is the Support Group level of award, for those who cannot work because of illness or disability, plus he was awarded a basic award of £54 a week when he claimed Personal Independence Payment (PIP), which replaces Disability Living Allowance. Then in March, Karl and Samantha decided to live together again, renting the cheapest place they could find for £425 a month. However, Samantha became ill herself and was unable to work. She currently receives statutory sick pay. Karl had declared the move as a change of circumstances, and says the that government asked to look at Samantha’s payslips and took one that showed a higher than normal payment to be their regular income. Karl explained: “Samantha is getting £380 a month in sick pay, but for one month in May she was paid nearly £600 because her April payment was under at £280 due to a processing problem. “But despite explaining this the benefits people decided her regular income is £600. Our council tax reduction has stopped too and we can’t claim housing benefit.” So Samantha’s back payment – money she was owed – was taken as her income as well. Once Karl’s ESA was stopped, he was told to claim working tax credits, but his award didn’t include the disability element. This means that he now has to pay for his rent in full and has no council tax reduction. Karl says that after paying their rent and bills, there’s now so little left that he’s had to resort to setting up a GoFundMe appeal, because he feels so desperate. “It’s disgraceful, it feels like begging, but I had no other option or we will lose the roof over our heads,” he said. “I’ve worked hard all my life, and I can’t help having a brain tumour. The government also make it all so complicated with form after form to fill in, which is hard because I suffer short-term memory problems. It feels like a slap in the face. A Department for Work and Pensions spokesperson said: “We’re committed to ensuring that people with health conditions get the support they’re entitled to. Decisions for ESA are made following consideration of all the information provided by the claimant, including supporting evidence from their GP or medical specialist. Anyone who is unhappy with a decision can appeal. It takes months to get a tribunal date, and before people can appeal, they have to go through a mandatory review first, where the government decides whether their original decision was correct. The mandatory review has no time limit, and an average of six weeks is usual for people to wait for the second decision. Meanwhile, people are left without an adequate income to meet their basic living needs, and an average of nine months wait for their appeal to be heard. To donate to Karl Riley’s fund, click here. Last year I wrote an article about how the social security system in the UK has been re-structured around “ordeals”, which were introduced by the Conservative government in order to discipline and “disincentivise” citizens from claiming welfare support. The government’s aim is to ‘deter’ a ‘culture of dependency’ (a debunked myth) by undermining any sense of security people may have of fulfilling their most basic needs. Welfare support is extremely conditional, precarious and punitive, because it is founded on traditional Conservative prejudices about poor people. Ordeals are intrinsic to a system of punishment that the draconian Conservatives claim will “change the behaviours” of underpaid, unemployed and disabled people. By creating a hostile environment, the government are somehow claiming that it’s possible to simply punish people out of having basic needs. If employment were genuinely ‘the route out of poverty’, as the government claim, why is it that most people who need social security support are in work? Then there are the additional concerns about how the government treats those citizens who are too ill to work. The Conservatives simply refuse to believe them or their doctors. Yesterday in parliament, the Shadow Disabilities Minister Marsha De Cordova again raised the fact that the United Nations (UN) had found “grave and systematic violations of disabled people’s rights” in the UK. Outrageously, Newton said it’s “not true” that disabled people face a hostile environment.” She also asked the opposition not to say “things” that they “know are not true”. Basically Newton was inviting the Labour party to collaborate in gaslighting disabled people, as well as attempting to stifle genuine concerns, democratic dialogue and avoid any democratic accountability whatosever. Absolutely shameful, authoritarian behaviour. The United Nations (UN) and the Equalities and Human Rights Commission have already verified the truth of these statements, presented by Labour shadow ministers, disability charities and disabled people. If the Conservatives genuinely believed that were true, they wouldn’t have such a problem in ensuring very wealthy people paid a fair amount of tax more generally. Apparently, money matters only to the rich. Cuts to their income must be avoided at all costs. And it does cost some of society’s most marginalised citizens, leaving us vulnerable. Those in the work-related Employment and Support Allowance (ESA) group have already seen their support brutally cut to fund tax cuts for the wealthy. Personal Independent Payment (PIP) was introduced to cut costs, too. 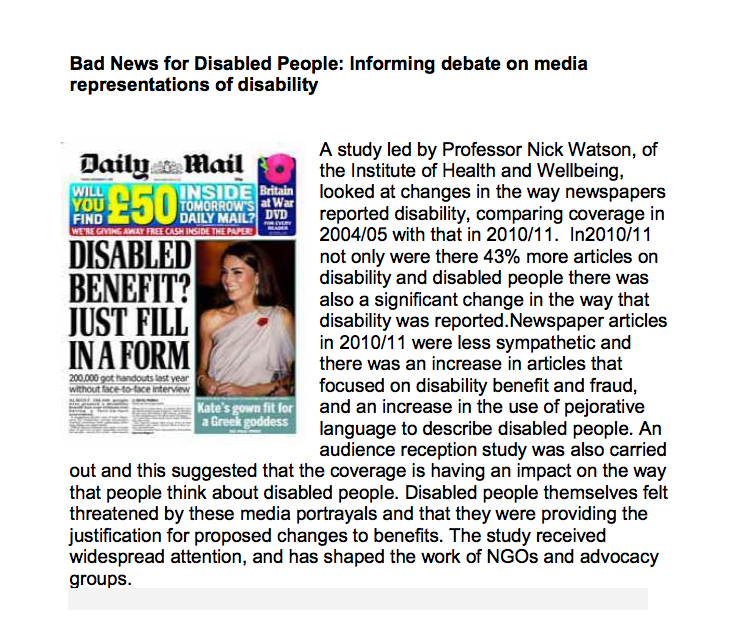 The fact that disabled people are also dying after losing their benefits is continually ignored, often dismissed by the government as ‘anecdotal evidence’, which does not ‘demonstrate a ‘causal link’ between the death and government policy”. As a disabled person who has gone through three ESA assessments, and more recently, a PIP assessment, a mandatory review and tribunal, I can verify that the Conservatives’ policies have created a hostile and harmful environment for disabled people. When I went through the ESA assessment in 2011, I was already gravely ill with a severe lupus flare. I was forced to leave a job I loved in 2010. By then I had worked with the illness as long as I possibly could. I became ill with lupus in 1998. The illness is chronic, progressive and is characterised by periods of acute illness, followed by periods of relative remission. Each flare generally imposes an increasing amount of damage to joints, nerves, tendons, organs and blood cells, as the disease progresses, causing myriad symptoms that vary over time, and from person to person. Unbelievably, despite being so ill, I scored zero points at the assessment and the stress of having to fight for a means to live exacerbated my illness. I won an appeal nine months later. In the meantime I was placed on a work programme that I couldn’t possibly undertake. The disability advisor I saw at the job centre told me she could see I was unfit for work. Just three months following the appeal, I was told I must attend another assessment. By this time I was so poorly that I collapsed at the interview. The Atos doctor told me I should never have been sent for another assessment. I was on chemotherapy treatment at the time, which ought to have exempted me, as should the tribunal outcome just a couple of months previously. The initial Atos report, presented to the court, was clearly about someone else’s life and conditions. The tribunal said that working would place me at unacceptable risk. I also ensured the assessment was recorded the second time, so little was my trust of the fairness and rationality of the process. Or the honesty and integrity of Atos’s ‘health care professionals’. At the second assessment, I saw a doctor, who sent me home in a taxi, Atos actually paid for it. He also recommended that I was placed in the Support Group. It was two years before my treatment stopped the aggressive advance of my illness, which also leaves a wake of progressive damage to bones, joints, tendons, nerves, blood cells, major organs and my immune system – causing further disability. My rheumatologist is sure the severe stress of assessment and appeal, coupled with the financial hardship I experienced, exacerbated my flare. By 2013 I was still very frail, and weighed less than eight stones, despite feeling less acutely ill. The experience was so distressing for me that I could not face going through a PIP assessment, despite the fact that I needed the additional support. I put off claiming until last year, when I needed aids and appliances in my home just to manage day-to-day tasks like taking a shower and cooking. The occupational therapist from my local council helped me with my claim. By this time I desperately needed the additional support. The PIP assessment was dehumanising and degrading and the ‘examination’ included movements that left me in a lot of severe pain, reducing my mobility further, substantially. Some of my joints were badly swollen by the evening, following my appointment, including both shoulders and knees. I was asked to do movements I wasn’t familiar with, and it isn’t until you try them that you find you cannot actually bend or reach that way. The movements were also done in quick succession. I was trembling with the effort and complained I was in pain. When I refused to do a squat, I was asked why. I explained that I simply couldn’t do it. I have arthritis in both hips and lower spine, both of my wrists and shoulders won’t take any weight and had I fallen backwards, I risked breaking a wrist, as I also have early onset osteoporosis because of my ilness. People should not be leaving assessments in a worse condition than when they arrived for them. I made a formal complaint, but was fobbed off by the person carrying out the investigation, who simply concluded that as he ‘wasn’t in the room at the time’ of the assessment and so could neither verify nor negate my ‘allegations’. It took him four pages to say that. I was just one point short of an enhanced PIP award. The reasoning on the assessment report for denying me a point for cognitive difficulties was that I had a degree (1996, Master’s in 2007), worked as a social worker (until 2010, when I became too ill to work) and a driving licence in 2003. I have been unable to drive since 2005 because of flicker induced seizures. Clearly the idea that an illness that prevents me from continuing in work, which is also well-known for causing neurological illness, has led to increasing cognitive difficulties since 2009 isn’t acceptable to PIP assessors, who wanted to keep my award as low as possible. The DWP didn’t even bother writing to let me know the outcome of my mandatory review. Throughout the process, from the first ESA assessment to the last PIP assessment, I was treated as though I was somehow a burden, rather than being supported. Newton claimed yesterday that the opposition’s comments are “dangerous”and “deter” people who need support from claiming it. What utter tosh. It is government policies that are dangerous, and that have created a series of ordeals in the assessment process, designed to weight the assessments towards permitting the DWP to refuse people support. I needed PIP in 2011, but my experience of ESA assessment was so devastating that I was deterred from claiming PIP until I was absolutely desperate, last year. I simply could not face risking my health even further with another assessment, unless I absolutely had no choice. That last assessment also caused an exacerbation of my illness and injury to my already damaged joints and tendons. How dare Newton tell such hard faced, deplorable lies. Newton even had the cheek to cite Labour’s Equality Act as a ‘protection’ for disabled people, as if it was the Conservatives who designed this policy. This is the same Act that this government has violated over and over because of their welfare ‘reforms’ and austerity programme. Those protections were brought about by the last Labour government, which also included the Human Rights Act, as well as Labour signing the UK up to the Convention on the Rights of Persons with Disabilities (UNCRPD) – an international human rights treaty intended to protect the rights and dignity of persons with disabilities. The established human rights and equality frameworks have been methodically ignored by this government, who decided to target disabled people with a significantly disproportionate burden of their ideological austerity programme. The UN found that the Conservatives’ treatment of disabled people gravely and systematically violates our human rights. The evidence gathered by the UN came from disabled people’s accounts (including mine) and those of disability organisations and charities. Newton also shamefully suggested people losing their motability cars should complain to the Motability charity – not the government. It’s not the charity that are creating a hostile environmen for disabled people, carrying out assessments that are absolutely unfit for purpose. This government simply refuse to accept any responsibility for the consequences of their own actions. History has taught us that such right wing authoritarian governments are very, very dangerous. How dare this minister deny and dismiss the accounts of disabled people – those directly affected by her government’s draconian policies. How dare she call other people ‘liars’ while she stood there lying in parliament. She seems to have forgotten that disabled people have the same democratic right as other groups to hold a dialogue with the government, but instead we have patronising and vindictive ministers telling us their punitive and authoritarian policies aren’t causing us any harm or distress. We say they are and we are told by this manipulative, gaslighting liar that it is we that are ‘lying’. “I honestly ask all members opposite, please do not use this language of hostile environment. It is simply not the case. “And the very people that need all of our support are put off from seeking it and coming forward. The Conservatives talk a lot about “evidence-based policy”, but they don’t walk the talk. An overwhelming weight of evidence has highlighted the cruel, draconian effects of the Tories’ social polices to date. The government have simply chosen to deny and ignore it. There IS NO discrete group of tax payers that never use public services, who are simply paying for “other peoples'” support. Everyone pays tax, including those claiming welfare support. Most people claiming support have worked, many needing support are actually IN work. Furthermore, as employment has become increasingly precarious, many move in and out of employment, through no fault of their own. The “value for the tax payer” spin is simply a divisive strategy – a political game of “us and them” that is used to justify punitive policies which target some groups, while the deliberate scapegoating of those groups serves to de-empathise the public to their loss of support, increasing vulnerability and distress. Deliberately cutting money from disabled peoples’ crucial lifeline support can hardly be described as providing “value for money” nor is it “fair” and “supportive”. This consistent response and denial from a government of liars indicates quite clearly that the cuts were always intentional on the part of the government. The gaslighting, denial and dismissal by Newton and her Conservative colleagues indicates a deliberately prejudiced, vicious attack on a significant minority of the population, which this Orwellian government clearly have absolutely no intention of stopping or putting right any time soon. Used to switch off the conscience when someone plans or has done something to cause harm to others. The idea of techniques of neutralisation was first proposed by David Matza and Gresham Sykes during their work on Edwin Sutherland’s Differential Association in the 1950s. Matza and Sykes were working on juvenile delinquency, they theorised that the same techniques could be found throughout society and published their ideas in Delinquency and Drift, 1964. 5. Appeal to higher loyalties. The offender suggests that his or her offence was for the ‘greater good’, with long term consequences that would justify their actions, such as protection of a social group/nation, or benefits to the economy/ social group/nation. added to the techniques formulated by Sykes and Matza because of its special relevance to the Holocaust. Nazi propaganda portrayed Jews and other non-Aryans as subhuman. A process of social division, scapegoating and dehumanisation was explicitly orchestrated by the government. This also very clearly parallels Gordon Allport’s work on explaining how prejudice arises, how it escalates, often advancing by almost inscrutable degrees, pushing at normative and moral boundaries until the unthinkable becomes tenable. This stage on the scale of social prejudice may ultimately result in genocide. Meanwhile, for many of us, the government’s approach to social security has become random, controlling and an unremitting, Orwellian trial. Benefits Assessor: How Long Are You Likely To Have Parkinson’s? Thousands of disabled people have already lost their specialist Motability vehicles because of Conservative PIP cuts and many more are likely to be affected. Remembering the Victims of the Government’s Welfare “Reforms” (This list needs to be updated).